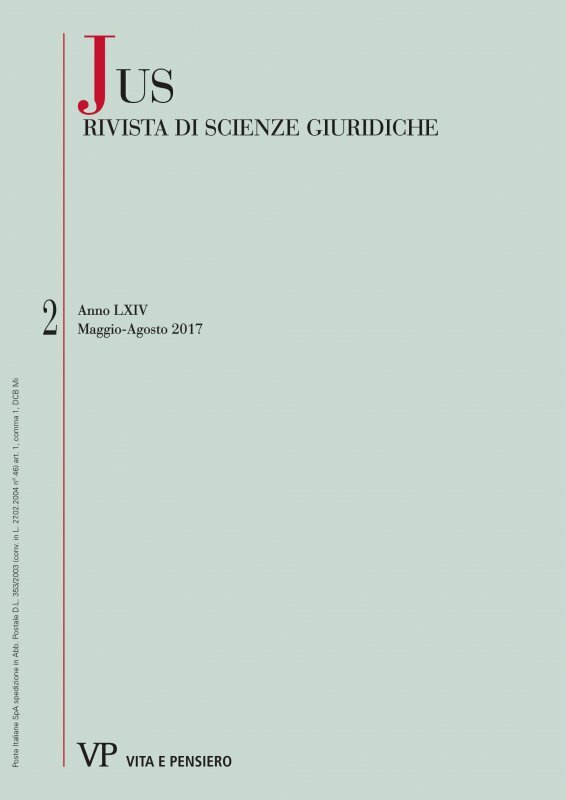 Misericordia: “superamento” del diritto o “dimensione” della giustizia? The paper examines the reasons why it is necessary that justice incorporates the concepts of mercy and forgiveness. Facing fractures in human relationships, the inherent nature of justice is to respond to negativity with opposite stances, aimed at turning unjust relationships into just ones, and not to merely «double» that negativity in pursuit of a merely retributive model. In this sense, mercy, at the center of the Jubilee wanted by Pope Francis, does not merely concern personal initiative, in antithesis to justice, but it represents a significant paradigm of justice also at the institutional level. The analysis is developed through legal, historical, political and theological references, the latter concerning the redemption in Jesus, as well as the magisterium of the recent pontiffs. Moving from the bull Misericordiae Vultus and the Apostolic Letter Misericordia et misera of Pope Francis, the Author demonstrates how mercy not only presupposes justice, but mercy is and becomes a mean to enforcing justice. The Christian notion of justice goes beyond the classical notion, understanding and elevating the suum on the basis of an ontologically superior order principle, to charity, understood, in the words of a Father of the Church, as principatus iustitiae, the guiding principle of the same justice. This paper deals with local irrigation systems organized by villages and communities in the Roman world. It will examine both some epigraphic and literary texts on this subject and some relevant jurisprudential sources belonging to Justinian’s Digest on this topic. In all these cases, the need for joint water use led to the development of at least initial forms of ‘association’ among rivales, intended for the regulation of: a) the distribution of water; b) the hydraulic work such as digging and maintenance; c) the arbitration of possible disputes between users. For their part, the juridical texts can better explain the probable ‘legal status’ of these communities, namely how they were structured and how internal relationships between rivales were considered.